Monsters University (2013). Sometimes dreams change and that’s okay. Dreams are special. They can be the fuel in our engine that keep us going in life, they allow us to utilise our imaginations and visualise our future. They are inspirational, they are important and they are subject to change. I often see inspirational messages that tell us to ‘shoot for the stars‘ or to ‘dream big‘ because all you need is a dream and I’ve always taken issue with those phrases because if the dreams don’t work out we feel like we’ve failed. Failure is not the death of a dream. Failure is when you give up. Monsters University is a movie about dreams and what happens when your dream just doesn’t work out like you thought it would. Yes the movie is a bit cheesy and in some ways pretty predictable but it was fun and I really liked the message. Sometimes you’re not good enough for the thing that you want to do. 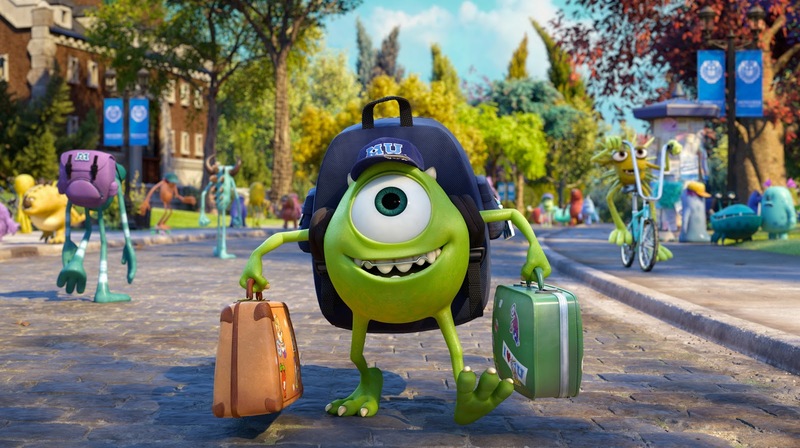 Mike Wazowski is a monster who has dreams of being a Scarer, he works hard, he’s dedicated and he gets into a prestigious scaring program at a top university. But, no matter how hard he works, or how much knowledge he has, he isn’t scary and he’s never going to really make it as a scarer. That by the end of the movie he realises this, and adjusts his dream to something more realistic but still fulfilling made me really happy. The reality is that in life not everyone is going to grow up to be a fireman, or a doctor or a basketballer due to all kinds of limitations. Honestly, that’s not so awful. There’s no shame in not being tall enough, or fast enough or good enough for your dream. Even if you’re the perfect specimen like Sully was, sometimes you might not have another aspect to making it. You might have all the talent in the world, but lack the study skills. I really liked that in the end it was a combination of talent and practice that got the main characters ahead in life, and even more so that it wasn’t through the route they thought they’d take, but another way. There are many paths to success and it might not be the path you envisioned. Previous Post Font Glasses. A whole new meaning to the word Typeface.